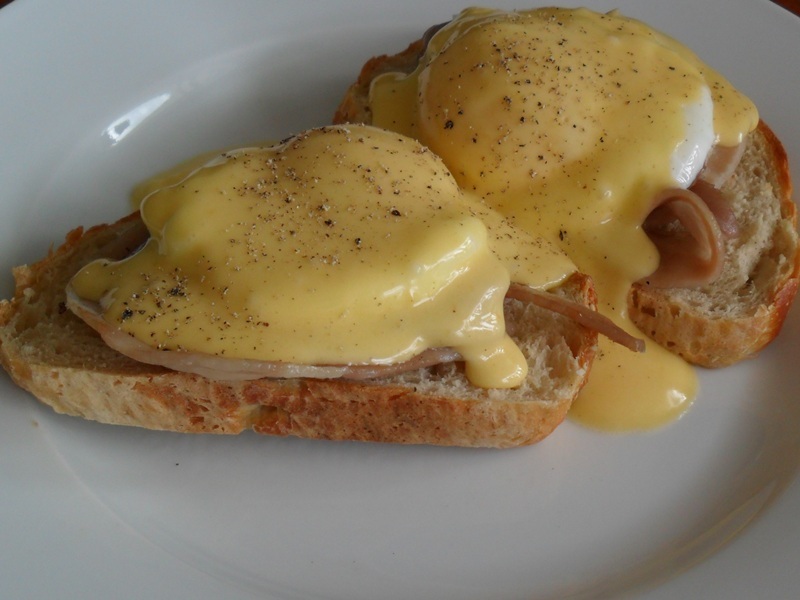 Time saver: poached eggs, smothered in hollandaise sauce, could this be love? This is kind of a cheeky post-one-get-one-free deal, but I couldn’t let my Hollandaise Sauce post go without talking about Eggs Benedict in a bit more detail. I used to think of these as a cafe breakfast, but with a little bit of effort you can match or better what you’ll get at most cafes. You can mix it up a bit but the key components tend to be: some sort of lightly-toasted bread base, a layer of filling (generally either bacon, ham, smoked salmon, or spinach), a poached egg, and then a generous serving of hollandaise sauce. I think traditionally a split English muffin is used for the base, in the photo I’m using toasted artisan bread, and lots of cafes in Auckland seem to use toasted Turkish bread. The trickiest part to eggs benedict is probably the timing. You want to serve everything hot, so that means you need everything ready to go at the moment of assembly – eggs perfectly poached, bread lightly toasted, hollandaise rich and creamy, and your filling ready to go (easy if it’s smoked salmon, a bit trickier if doing bacon or spinach). There’s not really a lot you can do expect practice to get a a feel for it. If you prepare the hollandaise sauce beforehand (or, shock horror, use one from a pouch/jar) you can set it aside ready to go. You could also pre-poach the eggs, then just heat them when you’re ready to go (though in some ways this is more work). For this recipe I’m going to refer you to previous recipes and tie them all together. Prepare the hollandaise sauce according to the recipe and set aside. Get bread ready for toasting, but don’t toast it yet. If using spinach you want it wilted, so I’d recommend steaming it gently, you should set this up now (i.e. heat the water, don’t actually put the spinach in the steamer yet). If using bacon (or ham and you want it heated) you should heat the frying pan now. Put the toast on – you don’t want it too crispy or it’s too hard to cut (but it shouldn’t be bread either). If using smoked salmon, relax, otherwise, quickly fry bacon/ham (should only take a couple of minutes). If using spinach you want it just wilted – do this in the steamer now. Remove the eggs from the water, drain and trim away any ragged edges. By this point your toast should be ready and you’re good to go. Assemble with toasted bread first, then a layer of your filling, then a poached egg, then a good 1-2 Tbsp hollandaise sauce on top (it should make a sort of smooth dome on top of the egg). Crack a little black pepper over the top and enjoy. Time saver: as close as you can get to drinking pure butter without actually drinking pure butter. I’ve been a bit unsure about this post. 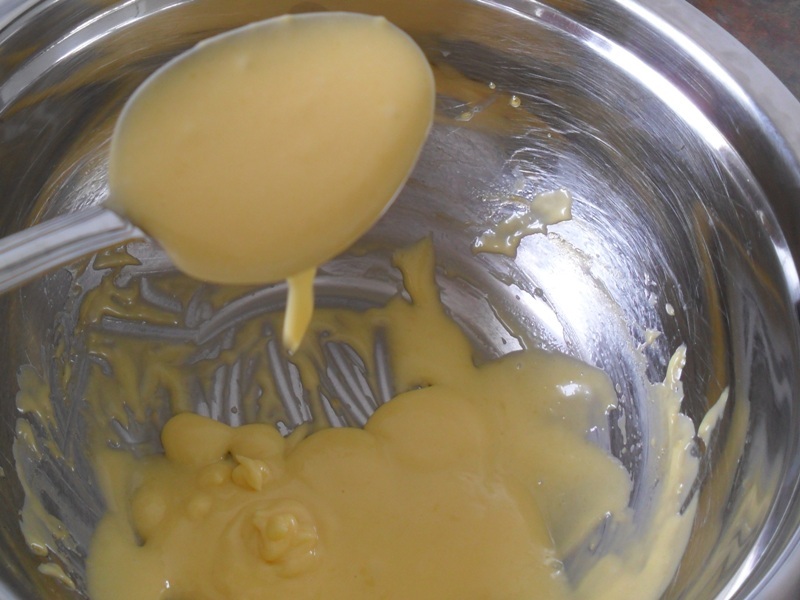 Hollandaise sauce can be made in a variety of different ways, some more involved than others, and even the ratios seem to vary a bit. All I can do is tell you how I would go about making it if I was cooking. Your mileage may vary. You can drizzle it over asparagus if you want to, but my favourite is eggs benedict with hollandaise liberally poured over the top. As previously mentioned, the recipes vary a bit. Some will have you reduce vinegar before adding it to the egg yolks, others get you to make the entire thing in the blender. I like the zingy flavour of lemons, so use quite a lot of lemon juice, you may prefer to use half as much (1 Tbsp instead of 2). I also like the flavour of vinegar in it, so sometimes add ½-1 tsp just near the end. You can do the same, leave it out, or try reducing it first (which should take some of the sharpness off it, though you’ll need to start with a couple of tablespoons of it). Using less butter will give you a thicker sauce, using more gives you more sauce at the end. For two servings of eggs benedict (for a total of 4 eggs) I’d use around 75g butter just to be sure I had enough. Cut the butter into small cubes and leave to soften (if in a hurry you can soften in the microwave). Set up a double-boiler (put a couple of cms of water in the bottom of a saucepan, then sit a stainless steel bowl on top, big enough that the bottom of it is above the water level) and set over a low heat. Eventually the mixture should start to thicken, at this point remove the double-boiler from the heat, and start adding the cubes of butter, whisking to combine. Continue until all the butter has been added. 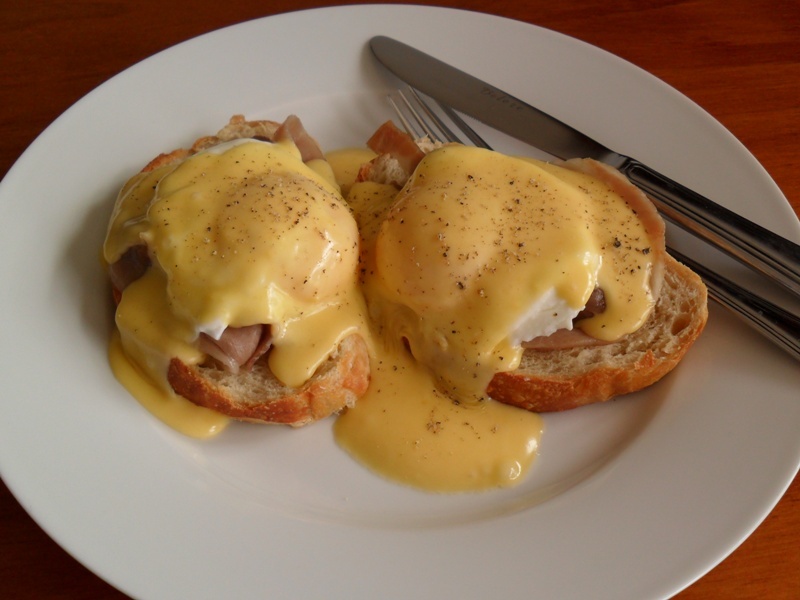 EMERGENCIES ONLY: hollandaise sauce is an emulsion, and emulsions sometimes separate. The key to getting it back together is simple: if the sauce is hot, add cold water a drop at a time and whisk thoroughly until recombined. If the sauce is cold, add hot water a drop at a time and whisk thoroughly until recombined.